Is it an addiction? Really? Can collecting action figures truly be seen as more than a compulsion to acquire the latest – or greatest – plastic interpretations of pop culture heroes and villains? A new series chronicles the creators behind some of our favourite toys and the high profile ‘addicts’ who hunt for new and vintage collectables, delves into the psyche of what makes an individual amass such prolific collections. 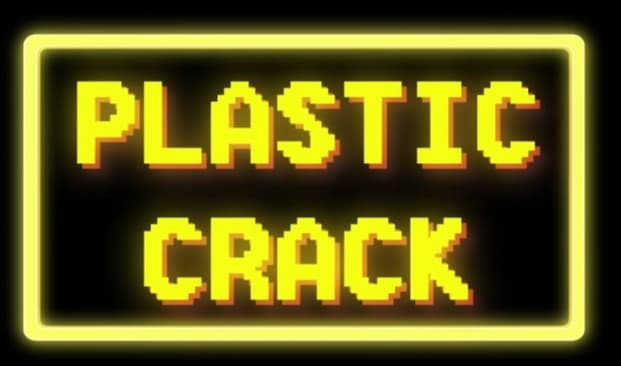 Plastic Crack, available now in the UK on Amazon Prime, follows fans of Transformers, Teenage Mutant Ninja Turtles, My Little Pony and more – but most notably to readers of Fantha Tracks, Star Wars. 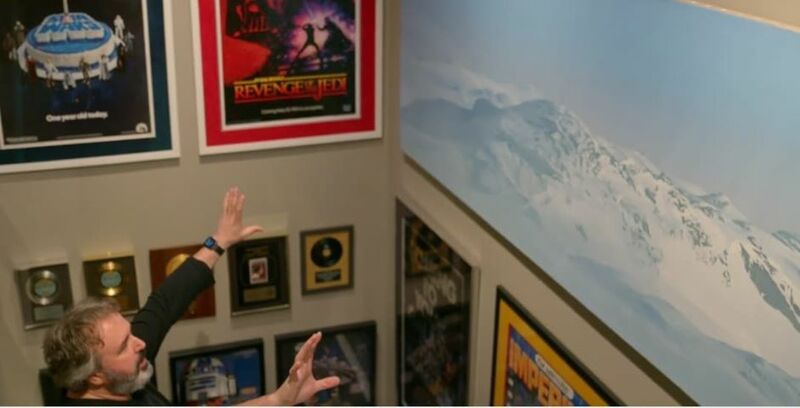 Gus Lopez is well known to the fan community for his vast and unique Star Wars collection. He pops up several times across the first three episodes, giving the viewer an opportunity to step inside his home – Bobacabana in Seattle, Washington. A fan since the saga’s release in 1977, Gus has amassed the stuff of dreams. From original screen-used props to crew apparel, clapper boards, matte paintings and gold discs for the soundtracks, Gus is the envy of many a fan. 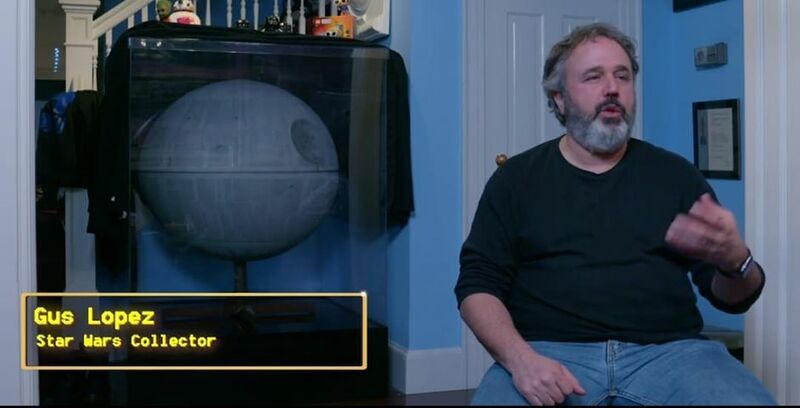 To this day, one of Mr Lopez’s most prized possessions is his Death Star prop that featured in A New Hope. So what tends to make adults, buy toys? Well, for Gus it was pretty much the same as it has been for most of us: nostalgia. “It’s the recreation of your youth. 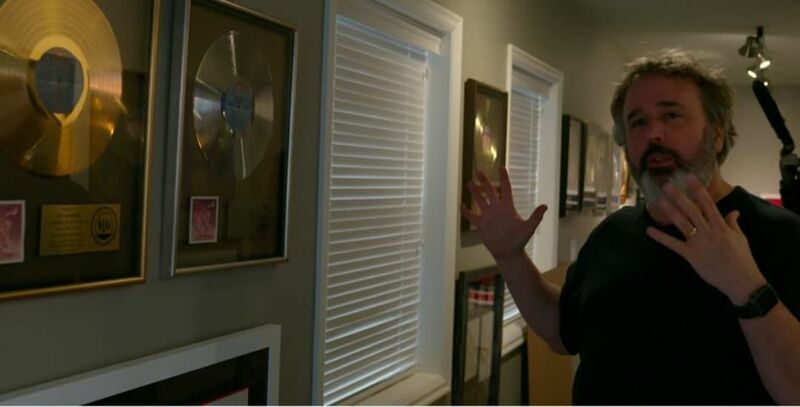 It’s very common for adults to go back and collect the toys they had as a kid,” says Gus. He likens it to creating a museum exhibit. Perhaps the best analogy for those who don’t get what it is all about. The show reflects on the dawn of what became an industry standard – the 3 ¾ inch action figure. Prior to Star Wars, the term action figure wasn’t uttered. GI Joe (or Action Man in the UK) had ruled for years, but was often thought of as a doll for boys. It is often said that Star Wars reinvented the way films were merchandised, but much of that was down to the scale of the toys. An affordable way to bring your favourite screen idols home and a reasonably inexpensive route to the vehicles piloted. Episode one focuses on how GI Joe effectively died as a 12 inch product with the success of Star Wars and it was only when it was reintroduced at the same scale as its sci-fi nemesis in 1982 as Action Force in the UK – but still GI Joe in the US – that it found a fresh market. 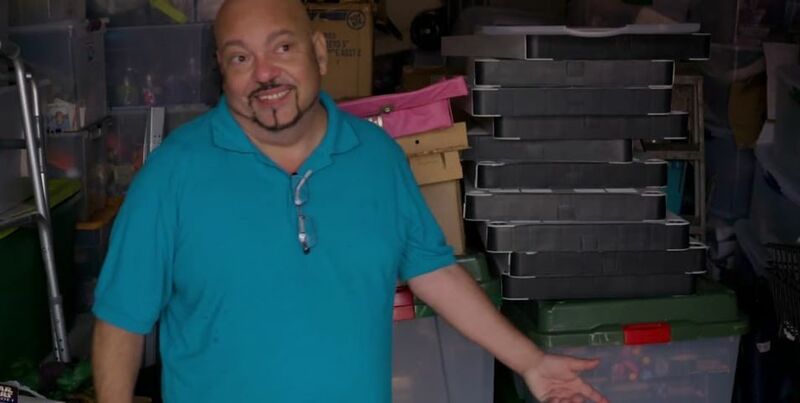 Among the other well known collectors, Miami-based Irving Santiago and his son Irving Jr are seen desperately trying to protect their prized toys during the coming onslaught of hurricane Irma. Irving would buy cases of figures back in the 70s and 80s, something many of us wish we had done back in the day. Hindsight is a wonderful thing. And if you struggled to complete your Clone Wars collection, Irving could well be to blame. He spent $10,000 on the line when it launched. Plastic Crack features interviews with creators and collectors covering a wide selection of pop culture favourites, with the likes of Robert Barberi, Steven Biesiada, Summer Hayes and Erik Estrada – yes Ponch from CHiP’s. It’s a great little series, providing an insight to the lives of a number of respected – and sometimes maligned – collectors. The opening credit sequence is cool, but with a title as intentionally shocking as Plastic Crack, surely the soundtrack should be as radical. The twee music would be more suitable to a pre-school animation, but it doesn’t detract from what is a wonderful sneaky look at some fab merchandise from a wide variety of genres. But be warned. Approach with care. It could unleash the collector within. Before you know it a couple of loose figures can become carded and boxed items, or props. Heck, you might even own Han solo’s jacket from The Empire Strikes Back? Nope. Gus has that. It’s not nearly as buy this, buy that, BUY EVERYTHING, as it looks.